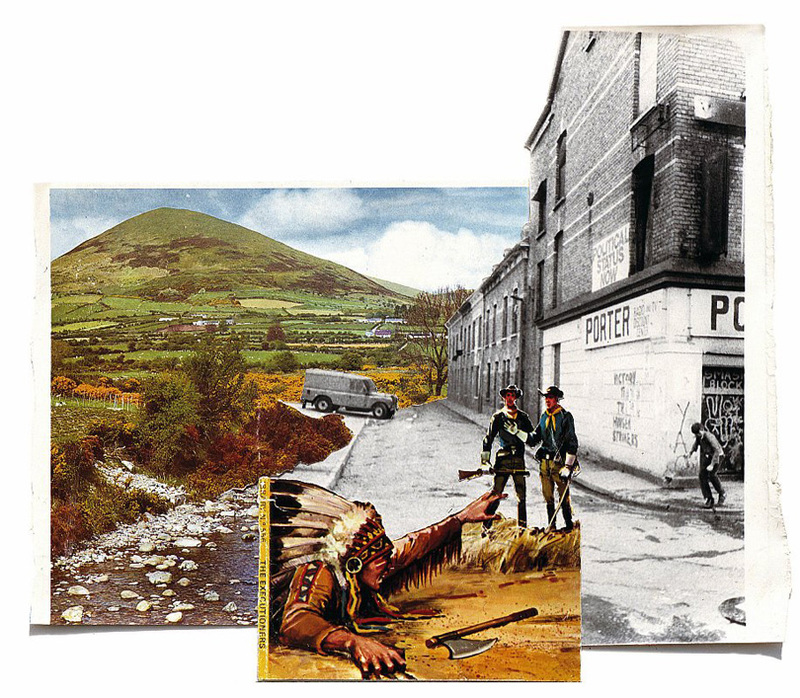 The montage superimposes images of cowboys and Indian onto a Derry street, with glorious mountain landscape in the background. A boy staggers on the corner of the street. Sean Hillen says: ‘The boy was photographed at the corner of William Street (most of which I think no longer exists),where the Bogside meets the city, a few hours after hunger striker Patsy O’Hara’s funeral. He was searching for stones to throw and hadn’t yet seen the police land-rovers which are screaming around the back trying to trap the ‘rioters’ between their lines. I was playing with a lot of cowboy and injun imagery at the time, consciously mining it for the political undercurrent, noble/disposable savage stuff.